Winter Shelter provides a safe refuge from illness, injury and death during harsh weather. The Winter Shelter Collaborative is a partnership funded by the City of Alexandria Department of Community and Human Services’ Office of Community Services with services carried out by Carpenter’s Shelter with support from Alfred Street Baptist Church and the Church of St. Clement’s. 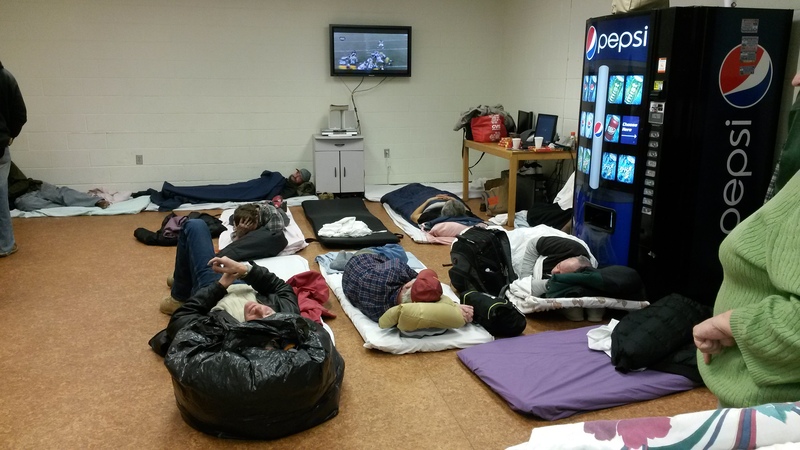 Winter Shelter provides a safe refuge from illness, injury and death during inclement weather. The shelter doors are open to anyone in need of shelter during the winter months. Winter Shelter is weather dependent for the months of November and April and open every day December to March from 7 pm to 7 am. In fiscal year 2018, Winter Shelter housed 318 adults and children.